Tiwatope Savage Balogun, a native of Lagos, born, February 5, 1980 in Lagos, Nigeria before her family relocated to london when she was 11. whilst attending high school, she played trombone for her school's orchestra band. 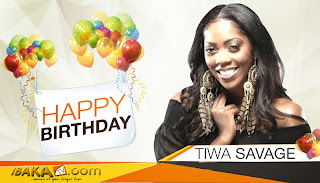 After graduating with a degree in Business administration from the University of Kent, Tiwa started working at The Royal Bank of Scotland. Tiwa did backup vocals for George Michael at the age of 16 and lent vocals to other musicians such as Mary J. Blige,Chaka Khan, Blu Cantrell, Emma Bunton, Kelly Clarkson, Andrea Bocelli, and Ms. Dynamite among others. Furthermore, she has performed on stage with Sting, 50 Cent, The Black Eyed Peas, Eminem,Robbie Williams, and Destiny’s Child to name a few. she further her music career at Berklee college of music and graduated with a degree in professional music at age 27. Tiwa Savage as fondly called by her fans and admires, is a phenomenal Nigerian singer-songwriter, recording artist, performer, who has been at the forefront of female relevance in the Nigerian music revolution. She own a label imprint, 323 Entertainment with her manager Tunji "TJ Billz" Balogun whom she got engaged to on February 5, 2013. And married later that year. Tiwa is brand ambassador for MTN Nigeria and first female Pepsi ambassador. She fronts for several NGO's to fight against breast cancer. She is currently signed to Sony/ATV Music Publishing and partner with Mavin Records. yippee!!! 46 happy cheers to an emperor of yoruba movies. Saidi Kolawole Alabi Balogun, born on February 5, 1967, had is primary and secondary education in kwara state and also an higher diploma in statistics from the Kwara State Polytechnic. Saidi entrant to the movie industry as a young boy in 1981 was warmly welcome as his love and passion for the game was untamable. Saidi grew into a tycoon in the industry as he has successfully produced and directed blockbuster movies. His script delivery and action pose artistry earned him the nickname "James Bond" from his fans. Well accepted and loved Fathia Balogun is very popular amongst the yoruba movie lovers community for the superlative interpretation she gives to script, she as grown her fan base acceptability and loyalty globally. A graduate of Kwara state polytechnics who has fluent assent in English, Yoruba, Urobo and several other Nigerian languages. has featured in over 100 movies crossing between english and yoruba movies. 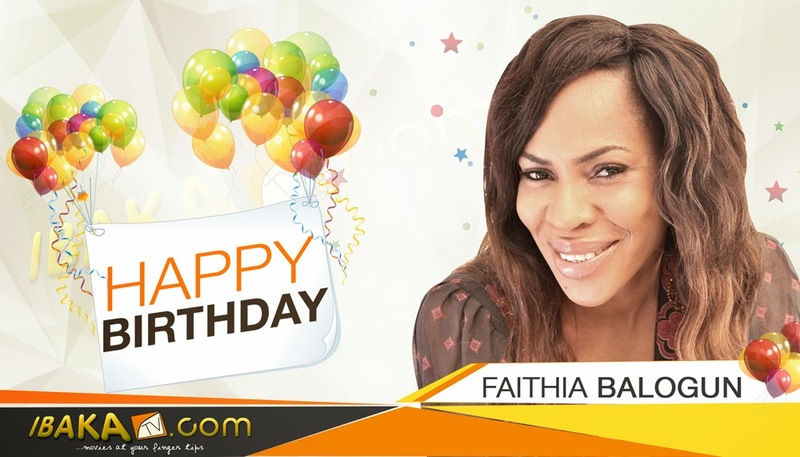 Aside acting, Fathia has produced and also co-directed several movies including but not limited to the following: Iberee, Buga, Oko ni mofe, Street Girls, Ife 'N siere, Wura ati fadaka, Awoko, Talofeku, Labalaba and the list goes on Born February 5 1969 in Ukwara, water side local government area of Delta state. Formally married to Yoruba movie star Saidi Balogun who she has 2 children for. With a kid from her previous marriage before saidi makes a total of 3 lovely children. Happy Birthday to you all and God bless you.